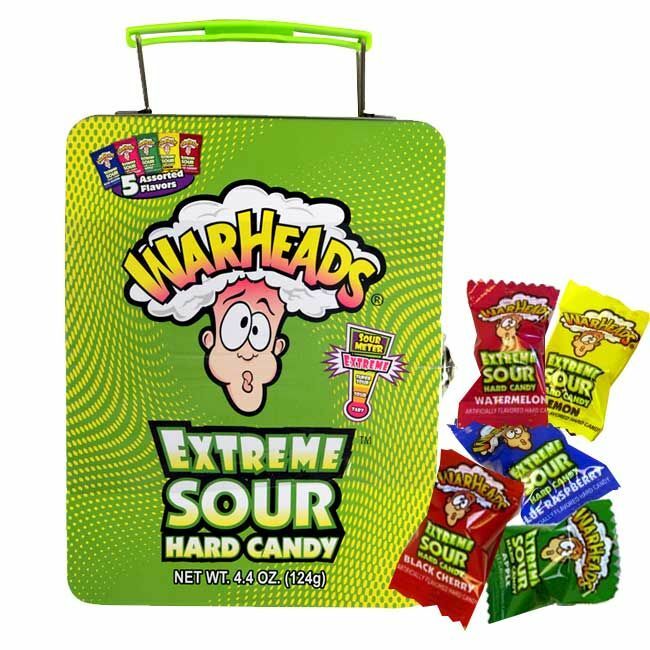 Warheads candies packed inside a metal lunchbox. 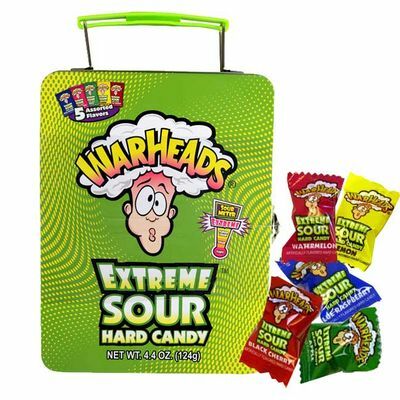 Assorted flavors or extreme sour Warheads fill this usable metal lunch box. There are about 17 wrapped pieces per lunch box. 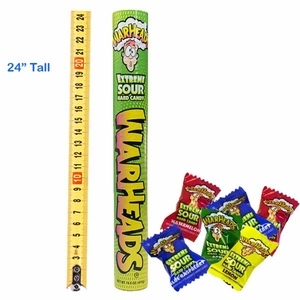 This item measures 6 7/8th high by 5 1/8th wide.